Uber Technologies Inc., the ride-sharing company with a reputation of slugging it out with rivals and regulators to capture market share, is giving up in China after agreeing to sell its local business to homegrown firm Didi Chuxing. The deal will end the most watched rivalry in the global cab-hailing sector in a market that has traditionally been unfriendly to outsiders, particularly US tech companies. "UberChina's value will represent a 20% stake in the combined entity with Uber being Didi's largest shareholder," Uber CEO Travis Kalanick said in a blog post. "As an entrepreneur, I've learned that being successful is about listening to your head as much as following your heart." Separately, The Wall Street Journal reported that Didi will also invest $1 billion in Uber at a $68 billion valuation as part of the deal. Bloomberg, which first reported the development, said the combined entity after the merger will be valued at $35 billion. Uber operates in about 60 cities in China and serves 40 million rides a week. The San Francisco-based firm had entered China in February 2014, two years after Didi Chuxing Technology Co. was founded. Didi Chuxing operates in 400 cities and completed 11 million rides a day in the first quarter of 2016. The anti-climax comes after both companies burnt billions of dollars of investor money to expand in the fast-growing market. According to Bloomberg, Uber has lost more than $2 billion in its Chinese operations. Indeed, Kalanick said this merger frees up "substantial resources for bold initiatives focused on the future of cities—from self-driving technology to the future of food and logistics". Both Uber and Didi have completed large funding rounds in recent months. Uber raised $3.5 billion investment from Saudi Arabia's sovereign wealth fund a couple of months ago while Didi Chuxing mobilised $7 billion, including $1 billion from Apple Inc. Didi Chuxing is also backed by Chinese e-commerce giant Alibaba and Tencent. The merger has implications for India, too. 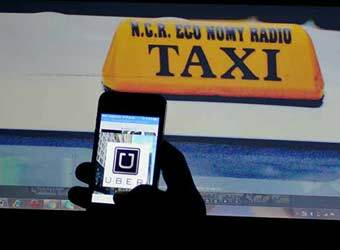 Uber is engaged in a stiff battle with local cab-hailing company Ola. In December last year, Ola, Didi Chuxing, Lyft and Southeast Asia-based GrabTaxi formed a global alliance to compete with Uber. Also, Didi Chuxing last year agreed to invest an undisclosed amount in a $500 million fundraising round by Ola, India's largest cab aggregator. On the other hand, Uber had last year set aside $1 billion to invest in India and recently said it would continue to invest in the country.